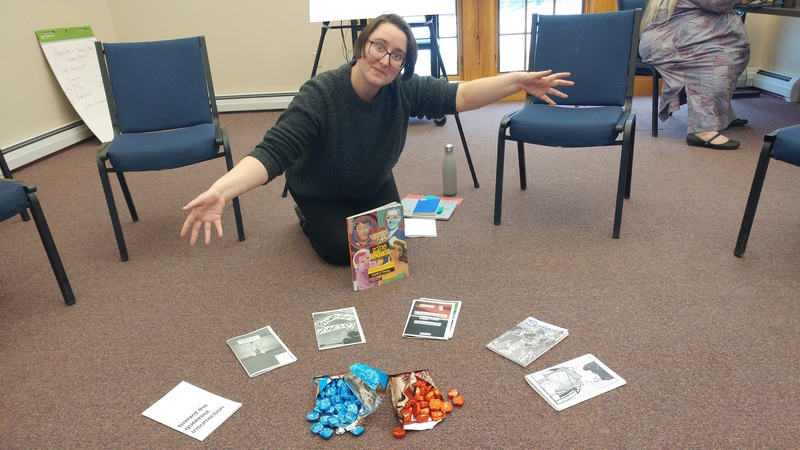 Returning students and activists Anna Weick (SIS) and Hayley Lewis (IMA) teamed up to host a workshop about feminism and gender liberation at the Spring 2018 Goddard Graduate Institute residency. 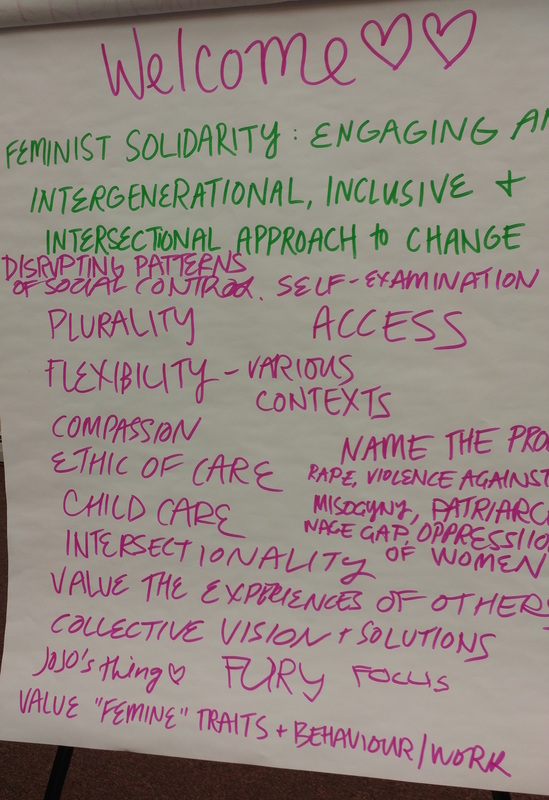 This workshop, “Feminist Solidarity: Engaging an Intergenerational, Inclusive and Intersectional Approach to Change,” engaged students and advisors alike in a collaborative discussion about how we can support each other’s work towards feminist and gender liberation. This is the first in what will be a series of workshops centering feminism and women’s spaces. How can we as feminists and gender liberationists resist cooptation of our movements and lives? How can we envision a future that accommodates all of us? How can we build intergenerational and inclusive feminist spaces? How can we tell stories of the ways injustice shapes our lives? How does community media and art support the work to resist cooptation? Using ideas from the workshop and the discussions we had together, Anna made a mini zine that is available for download here. Once you download, print it out one sided in landscape mode and follow these directions, making one cut and folding it into a small booklet. This small but mighty zine has made its way across the country in just a few months! 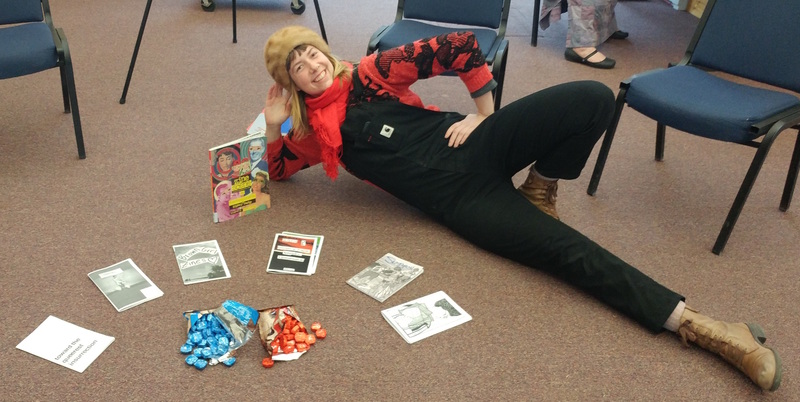 We hope you will share this zine but also, we hope you will make your own zine(s) and share your brilliant and beautiful ideas about revolutionary feminism and gender liberation. This entry was posted in Activism, Community Building, Feminism, Women's & Gender Studies, leadership, Residencies and tagged Anna Weick, Hayley Lewis. Bookmark the permalink.